Racing driver Vicki Butler-Henderson, Millennial Rachael Hogg, and mum Erin Baker (REV!) are testing three of the UK's most popular budget SUVs, based on how people search for them at Auto Trader. They're looking at how easily they can fit into your lifestyle, covering practicality, connectivity, and ride and handling. 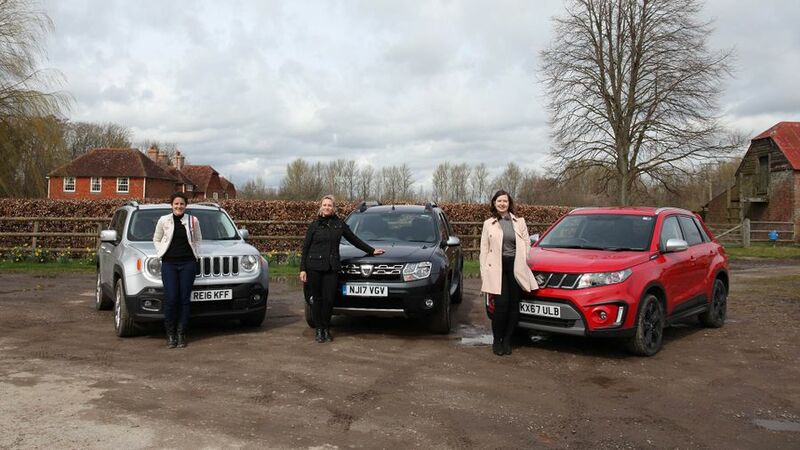 This week, it’s the turn of the Jeep Renegade, with its proper off-road ability, the value for money Dacia Duster, and the stylish Suzuki Vitara S.
Erin has to cope with the infamous ‘tea tray test’ this week… sorry Erin. Which car will come out on top? Interested in buying a Dacia Duster?